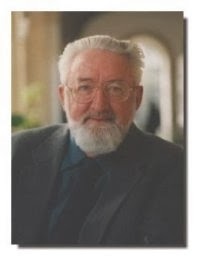 PaleoJudaica.com: Jerome Murphy O'Connor, 1935-2013: SAD NEWS: Charlotte Hempel reports on Facebook via Émile Puech that Father Jerome Murphy-O'Connor passed away last night. Known for his works on St. Paul and his association with the École Biblique, you can read more about Fr. Jerome Murphy O'Connor here. et lux perpétua lúceat eis.Requiéscant in pace. Amen. Sorry to see that. I enjoyed reading a couple of his books. That is very sad news for those of us who remain in the world. May he receive his eternal reward and rest in peace. He will be in my Rosary intentions tonight.